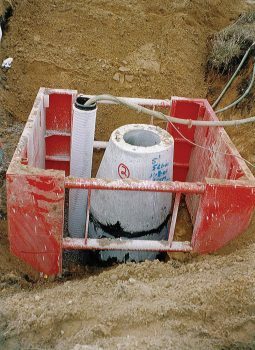 Specially designed manhole trench shields (manhole trench box) allow your job to progress smoothly and safely. Pro-Tec Equipment's manhole shields are designed and engineered to superior strength standards, using the same rugged design and materials used on the ProSeries line. 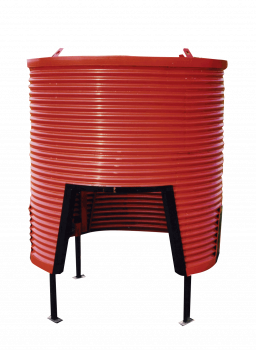 They are available in 4" single and double wall, octagonal and 4-sided as well as any special size to meet your job requirements. 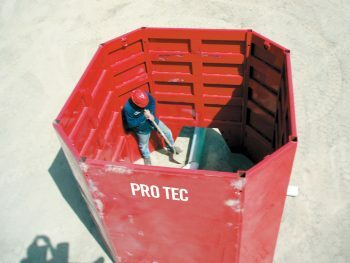 Pro-Tec Equipment’s Octagon Manhole Shield (OMH) combines the strength, durability and safety that is synonymous with a Pro-Tec Equipment trench shield with the mobility of a lightweight trench shield. Pro-Tec Equipment’s Round Manhole Shield (Pro-Corr) is designed to be used by lighter-duty excavators and rubber-tired backhoes. 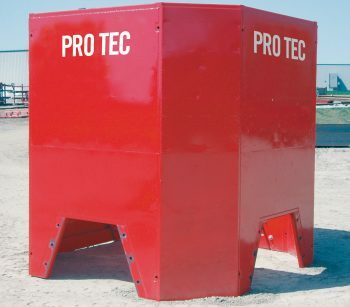 Pro-Tec Equipment’s 4-Sided Manhole Shields (tap boxes) are available in 3” and 4” sidewalls and are designed to allow complete protection on all sides. *PSF (pounds per square foot) ratings indicate maximum shield capacities. Depths are based on B, C and C-80 soil types as described in OSHA's 29 CFR Part 1926 Subpart P, October 31, 1989 with Type B not exceeding 45 PSF per foot of depth, Type C not exceeding 60 PSF per foot of depth and Type C-80 not exceeding 80 PSF per foot of depth. Determine actual soil pressure and consult manufacturers Tabulated Data prior to each use.